closure. Used in conjunction with a heavy duty tensioning tool as part of a two-part strapping system, the sealer is used to apply high leverage to crimp the serrated metal seal over the pre-tensioned strapping. 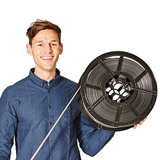 Available in two models to suit either 12mm or 16mm strapping widths and suitable for continuous use in heavy duty packaging, transport and warehousing applications. 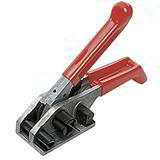 Use with Serrated Metal Seals Ref: GSS/12 & GSS/16. 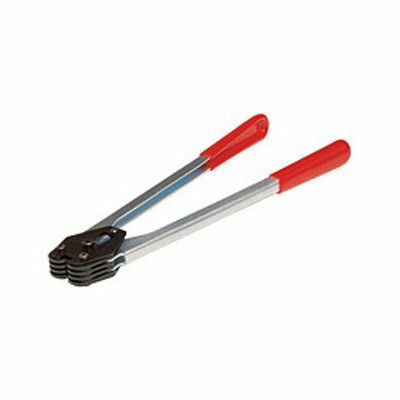 Compatible with Heavy Duty Polyprop Tensioning Tool Ref: GPT4. 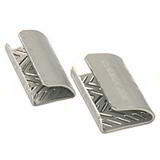 Serrated metal strapping seals when you need an exceptionally strong joint!